I condensed my 6 months in Nairobi, Kenya, in a list of where to eat and what when it comes to restaurants and street food. I am guilty of indulging too much on non-Kenyan food as Nairobi is absolutely a blast made of so many different cultural influences.. I will make up for this though, more local food to come in future posts! The Indian community deeply penetrated Kenyan social pattern, its flavours forever tangled with the local ones. The same is happening more recently with the Chinese ones. The huge Chinese industrial working force is often sealed in isolated communities all over the country but its cuisines are deliciously leaking out if you only know where to look. Here in Kenya I fell in love with other African cuisines, from the Liberian -thanks to a super awesome friend with a talent for cooking eggplant or beans in peanut sauce- to the Ethiopian, without missing the Sudanese – I will never forget Vivian’s eggplant, painfully missing it now that I’m not around anymore (throughout this post, you will learn I’m obsessed by eggplant). Without further ado, here is the output of six months of eating in multicultural Nairobi. Let me know if you’ve passed by any of these places and if I’ve missed anything else remarkable. Nairobi is the place outside China where to get the most authentic Chinese food. Not the conventional restaurants but the -often a bit shady- ones that are the real thing…so prepare to tackle Chinese-written menus. Huge thanks to the Chinese friends that showed me around, recommended dishes and places and made me experience some of the list members. -Han Di Yuan: right next to Mama Oliech (easy to find on Maps), it’s a super simple courtyard that offers both Chinese barbecue options (the mushrooms skewers and the grilled eggplant, my God), a classic menu (with of the best eggplant sizzling pots in town, doable in the veg version if you ask), hotpot (that I’ve never tried as the barbecue and the menu were always too appealing) and a few Korean dishes. They recently translated their menu into English! They offer a small Chinese/Korean/Kenyan starter. –NanChang Hotel Restaurant: only through private rooms, just a bit pricier – but your room will have a karaoke! It’s the only one of the list who’s not around Ngong Rd/Hurlingam/Kilimani but closer to Westland. PROVIDED YOU CHOOSE CAREFULLY (it’s best if you go with someone Chinese that would be able to make the right choices) this could be the best Chinese meal you would get. Must have: the fried pumpkin pancakes, really (they’re accidentally vegan). And the eggplant, but be sure to choose the option without shrimps. It’s in the same building of another Chinese restaurant, don’t get confused. -And then, there is a magic courtyard…: with tiny cheap noodle stalls, street-food, barbers, Chinese groceries (try the big one that also have delicious snacks), the only decent bubble tea shop in town and many others. Noodle places close at around 6 pm and the price range for a HUGE bowl is 500/600 bobs max. Must try. Reference for getting there through Google Maps: Silk Noodles (even though it’s not the best of the noodle stalls). Go wild at the weird groceries – you can even find affordable tofu in the groceries there! -Chinese Taiwan Restaurant: Taiwanese and Chinese cuisine, with a very special owner. Here I ate the best soy meat ever but their pancakes (without eggs in case you bother) and sweet potatoes fries, deliciously seasoned, are really worth a try as well. -Chengdu Impression: of course, best for Sichuan (spicy) food. I didn’t appreciate their eggplants much, but the other dishes were nice and their desserts were awesome! We got mango and coconut creaminess (veg, don’t remember their names), highly recommended. They ask for your nationality to adapt their cooking style, please make sure they understand you want the real thing and not the Western/African style version, best if you go with Chinese people. -Adlife mall Chinese restaurant: second floor of Adlife mall, has both hotpot and normal menu. We tried the normal menu and it was great, they have 4 different kinds of eggplant and the two that we got were pretty decent (even for vegetable-based dishes, be sure to ask them to make them without meat). This is by far the nicest environment I’ve experienced and the last page of the menu with Chinese snacks is not to be missed (including a super soft Chinese bread and pumpkin cakes). Again, Nairobi is great for Indian food thanks to its huge Indian community. I couldn’t find dishes that were as savoury as their versions in India but still, it’s a pleasure. -Chowpaty: there are many in town andthey told me the one in Westland is the best. Better for South Indian, their various chips (masala, garlic, spicy especially) are super good! Completely vegetarian restaurant, they are ready to accommodate any vegan request. -Open House: this was pointed out as the best Indian in town (by Kenyan-Indian families). Indeed good but, as Chowpaty, not at the same level of what can be found in Diamond Plaza… so let’s move to Diamond Plaza! -BEST BHAJIA (fires battered in chickpea flour and spices): Maru Bhajia stall, be sure to try also some of the other things it offers. -BEST (PUNJABI) SAMOSA: the street-food stall that is in the corner opposite to Maru Bhajia and opposite the parking entrance, closer to the supermarkets inside. Their Punjabi samosa (75 bobs, veg) is a must, ask or the free tamarind chutney dip to eat it with. They have plenty of other sweet and salty snacks to try (I prefer the salty ones. ->>PANI PURI (in the picture bwelow): 50 bobs per piece or 250 for a whole portion. Really, try it just because it’s one of the funniest things to eat (but it’s not as flavourful as the ones you get in India if you’ve already experience them – vegan). If you’ve never tried pani puri, they are small spheres made of crispy and super thin dough, filled with potatoes and gravies (remind them to avoid the ones that contain dairy). They are then filled with green minty fresh water and, once you put it whole in your mouth and bite, they explode with flavor and freshness. -CASSAVA/ARROWROOT CHIPS: a lady wearing a lot of makeup has her street-food stall in the centre of the courtyard, selling these chips also. Super good but the spices they add are kind of spicy so tell them not to exaggerate or not to spice them if you can’t handle it. -INDIAN SWEETS: there is a small sweet shop on the long side of the courtyard, opposite the one with the food court. Especially the dry ones, ask for the ones that are dairy/ghee-free, they have very good products and also a bit of salty snacks. One of those is my favourite, soy flour fritters that have a cheesy flavour (even though dairy-fre) – you get a huge bunch for 100 bobs. -JUICES: in the middle of the food court, there are many but the lady in the middle has the best ones. She squeezes the fruit that you want in front of your eyes but also have smoothies, shakes, coconuts to drink from. Must haves: sugar cane juice with lemon and ginger, trust me on this (and half litre of it is just 200 bobs! ), and tamarind juice. -FOOD COURT: haven’t tried but it offers tens of food stalls to try from. -CHOWPATY: one of the many is here, at the entrance gate next to the food court. 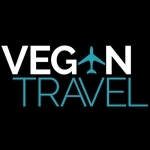 Fully vegetarian, make your vegan request and you will be provided with anything veganized. -MY FAV INDIAN RESTAURANT, ASOKA: owned by the family of the abovementioned samosa/pani puri street-food stall and just above it – literally, just jump up the outdoor wooden steps you can find at the stall. Their Turbo Naan is delicious, to be eaten with those that are the best Aloo Gobi I’ve had in Nairobi (cauliflower and potato in a delicate and spicy tomato gravy, vegan) or Bhindi (okra). They also have dosas (served with the typical creamy coconut -and not spicy- dip) and the street-food already available at the stall downstairs. Also offering Chinese and Italian fusion, never tried. -Abyssina (Ethiopian): the favourite restaurant of so many people, where to get the true Ethiopian meal experience sharing a huge platter of the typical injera packed with delicious portions of whatever you might dream of, including shiro and shiro tegamino, absolutely my favourite Ethiopian thing (a delicate tomatoey chickpea cream – here they make it dairy free, and so vegan and lighter). And fermented cheesy (without cheese) bread, spiced lentils and any sort of vegetables – all to be eaten by hands scooping through strips of injera (but of course cutlery is offered as well). And don’t miss the coffee incense ceremony, Ethiopia is the home of coffee after all. -Mama Ashanti (African): the menu offers a variety of dishes from different African countries. Portions are huge and super flavourful but, overall, it’s a bit pricy. Mus try if interested in discovering African cuisine. A bit short on vegan options but you can still fund adjustments. -About Thyme (international): western cuisine, I wasn’t impressed. It’s on the list though as the ambient is super nice, eating in their cosy and beautiful garden. -If you really want to try Italian cuisine outside Italy: I highly discourage this behaviour but, if you have to, I’ve heard (form an Italian) that Colosseum in Two Rivers Mall has good pizzas and La Trattoria should be the best, in CBD. It will be easy to ask for a meat-and-cheese-free option.